Brown sausages in a little oil. Cut and add to the bean and tomato mix and cook on low for another 10 minutes. 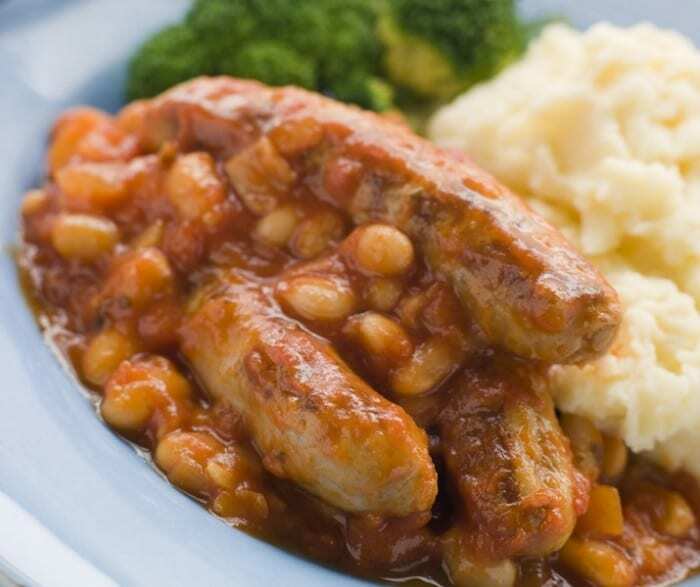 While the bean and sausage mixture is cooking, boil the cauliflower for 6 minutes. Remove from water and pat dry with paper towels while still hot. Place all ingredients in a food processor or use a hand blender and blend ingredients together. 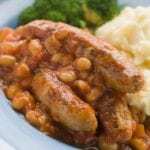 Remove beans and sausages and place in an oven dish. Spread mash over. Dot with butter and chives and place under grill to brown.